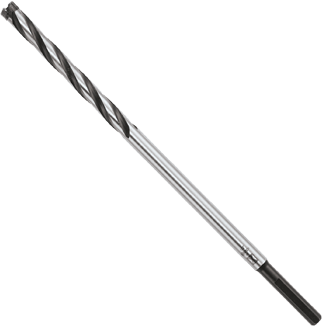 Straight shank fits standard three-jaw chuck drills and hammer drills. Bit is 36% faster and lasts twice as long as competitive cutters. For use in rotation mode only. Not to be used in hammer mode.